Registration for our SPINRG 2019 sessions is OPEN! For classes in Arlington and Medford, you may use the form below. Registration is open. TUITION RATES: As you register, you will find the rates associated with the location where you plan to attend and the payment method you choose - please begin the registration process to see the rates (don't worry, you can see the rates before you commit). 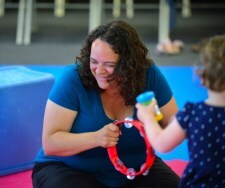 Tuition for our 10-week sessions includes one illustrated song-collection songbook, 2 CDs and access to the new Family Music Zone online portal (to download all the songs for this session and interactive family musical fun); plus a DVD introduction/guide for new families. LATE STARTS AND PRO-RATES: The answer is YES! Come and join the fun! The registration system automatically pro-rates for families beginning after our start date(s). We'll be happy to see you when we see you! PAYMENT METHODS: We prefer payments by check and offer a $10 discount for folks paying by this method - please select the "Pay by Check" and "Pay Later" options during registration and check-out (the prices listed at checkout already account for the pay-by-check discount.). But we understand that the convenience of paying by credit card is preferred by some families (and wish the fees to provide this service weren't so unwieldy!) - please select the "Pay with Credit Card" and "Pay Now" options during registration and check-out. If you are "paying later" by sending a check, please be aware that ***payment must be received within one week of registration in order to confirm your enrollment*** unless we hear from you within that time and agree to other arrangements. REFUND POLICY: No refunds will be given after the first class. There is a $50 (per family) non-refundable administrative fee included in the tuition. If you decide not to continue with the class and have received a songbook and CDs they must be returned but must be unopened (plastic still on) or you may pay an additional materials fee. MAKE UPS: Although there are 2 make ups per session allowed and we try to accommodate everyone, these are first-come-first-served and are "as available." Please book early using the "Make-up Scheduler" tab from the menu above. You must do the make-up within the same session as was the missed class (miss a class in April, make up by June). If you run into problems, please contact us. WEATHER ( & Etc.) CANCELLATIONS: In general, Mystic Valley Music Together classes will be cancelled if the local public schools are cancelled. This website will have a note on the homepage by 8:30am (in the notes on the right-hand side) and/or you may call 781-259-0001 - when in doubt, please check. If a class is cancelled due to inclement weather, we will add a class onto the end of the session. We allow for one snow cancellation add-on class per class, per semester. Mystic Valley Music Together reserves the right to make a final decision regarding cancellations - so please check the website or give a call. UNREGISTERED CHILDREN/FAMILIES: At least a few times per session we are asked if school-aged siblings (home for a school vacation day or due to snow, etc.) may attend the class with their registered little brother or sister. The answer is always an enthusiastic YES! 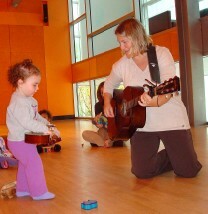 This is such a great opportunity for the younger child to "show off" their special weekly experience, and families sharing musical play is a corner-stone of Music Together pedagogy and practice. 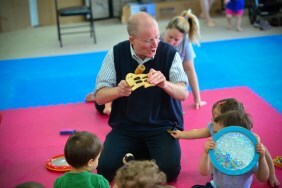 We also encourage both parents, grandparents, aunts, uncles, cousins, friends and neighbors to visit our classes. Out of state family and friends and friends who would like to try the class are always welcome as well. Copyright © 2019 Mystic Valley Music Together. All rights reserved.